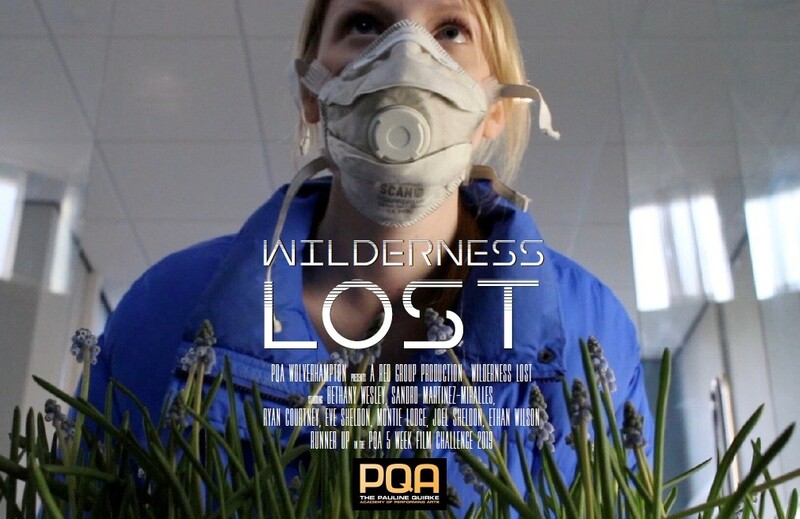 Students from The Pauline Quirke Academy of Performing Arts in Wolverhampton are delighted that a film they made as part of a PQA Film Challenge has officially been selected as an entrant into the Swindon Independent Film Festival. In January students were given just 5 Saturdays to create, write, film and edit a short film including specified elements such as costume, prop and lines of dialogue. Shooting in the grounds of Tettenhall College meant that they had the perfect location for their allocated theme of The Great Outdoors. The Academies older students were chosen to take part in this round of the contest, and they worked hard to get some fabulous footage. Students came up with a film set in the future where there are no green spaces left, and growing plants is illegal, a renegade group set about using a Virtual Reality world to gather and create new plant life in secret but they have been infiltrated by the authorities. The film has already been selected Runner-up in the National Film Challenge hosted by PQA and will appear at one of the Regional Film Showcases later in the year. For more information about PQA Wolverhampton contact Julian 07838115152. PQA Wolverhampton Students Take Shakespeare Awards.